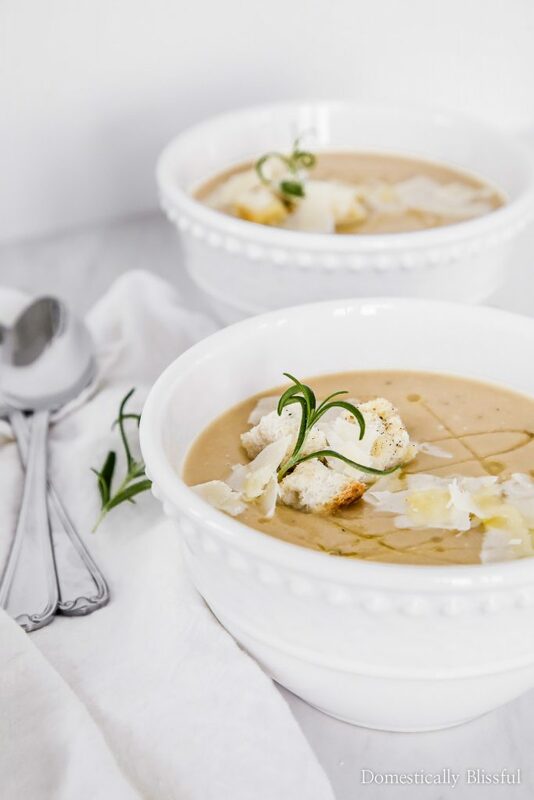 This Creamy White Bean Soup is made with simple ingredients yet is packed full of warm & cozy flavors. 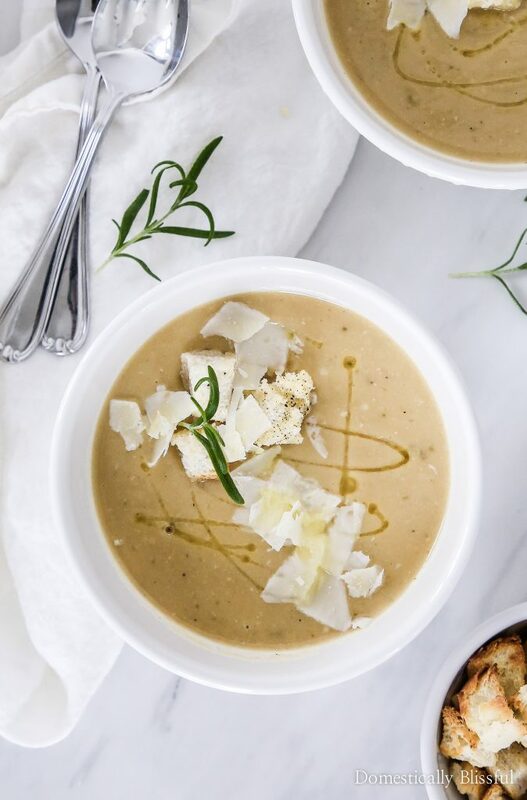 This soup is blended together using the Calphalon Precision Control™ Blender from Target for a perfectly creamy texture you will love! Can I start off by saying that this soup is really good & crazy simple? 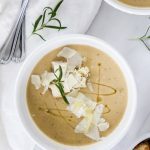 I’ve always enjoyed white beans, but I never knew just how good they could taste until this Creamy White Bean Soup. And guess what, you don’t even need any cream to make this soup creamy, just an awesome blender! 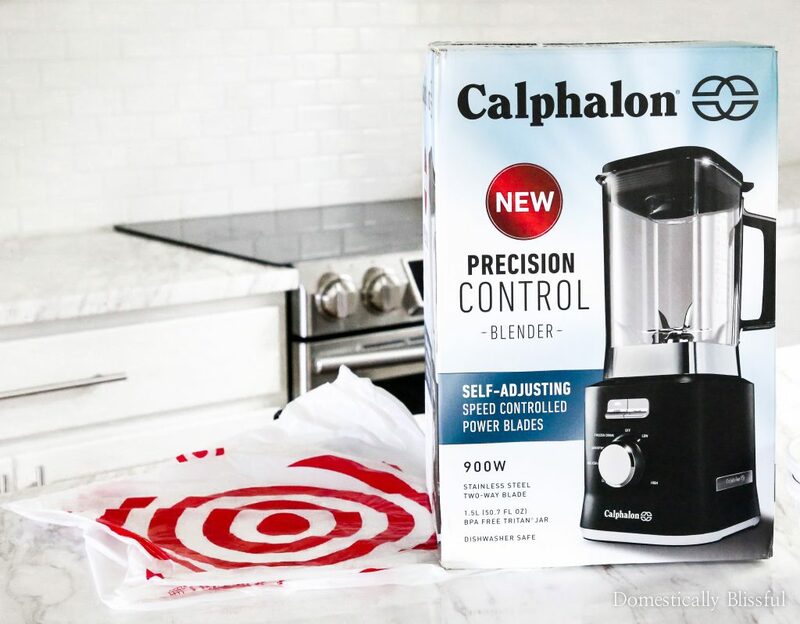 Target has a NEW Exclusive Calphalon Appliances Suite & I’m in love with my new Calphalon Precision Control™ Blender! That’s not even an exaggeration. I have a SERIOUS love for this Calphalon Precision Control™ Blender. We REALLY needed a new blender & now that we have this awesome new piece of kitchen equipment I know that there are a lot more delicious opportunities to come to our home. Hover over the image below to start shopping for your new Calphalon Precision Control™ Blender! When my sister found out that we have a new blender in our kitchen she started telling me about how she really needs a new blender because her old blender is broken. She joked about taking mine & that’s when I remembered her birthday & the holidays are just around the corner. I’m going to make sure that Santa brings her one this year! And if he needs a little help I’ll just point him towards the NEW Exclusive Calphalon Appliances Suite at Target. 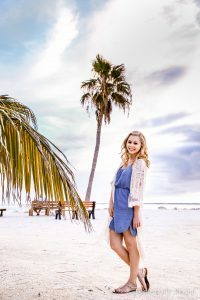 Whether it is sweater weather or sandal season we love chilled smoothies, hot soup, & ice-cold milkshakes all year round. So to say I am excited about the recipe possibilities to come is an understatement! 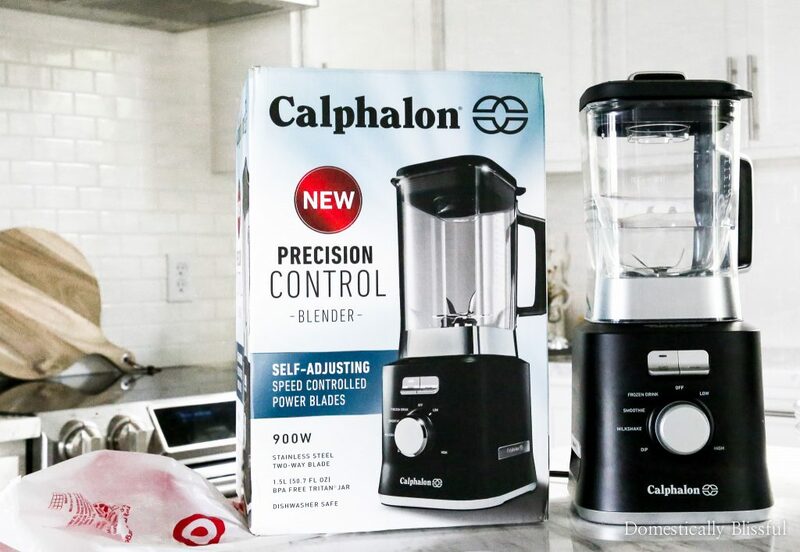 From crushing ice to preparing delicious smoothies, the Calphalon Precision Control™ Blender is built to perform with precise results every time. With a powerful 900-watt motor it can easily break down tough ingredients while dual-direction blades pulverize the contents in seconds. And you know you are getting the best since Calphalon is the #1 cookware brand in the US & they are known for their superior durability, ultimate performance, & functional elegance. I completely understand why my sister wanted to snag mine, it’s a beauty with its modern matte black finish! And I must say, nothing looks better than a blender filled with a delicious recipe! 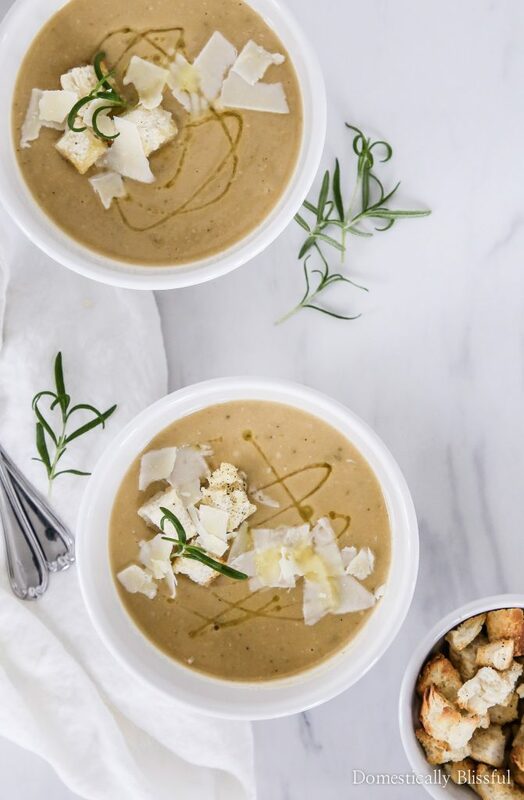 Roger kept saying how much flavor this Creamy White Bean Soup has & talking about all the things we can make with our new blender. I’m pretty sure milkshakes are at the top of his list while soups are definitely at the top of mine. Since it’s important to let steam out when blending hot soup it’s pretty awesome that the Calphalon Precision Control™ Blender has a pulse feature for food prep & chopping. I will admit, one of my favorite features is that it is dishwasher safe for easy cleanup. I rarely buy anything that is handwash, so this is a huge bonus for me! 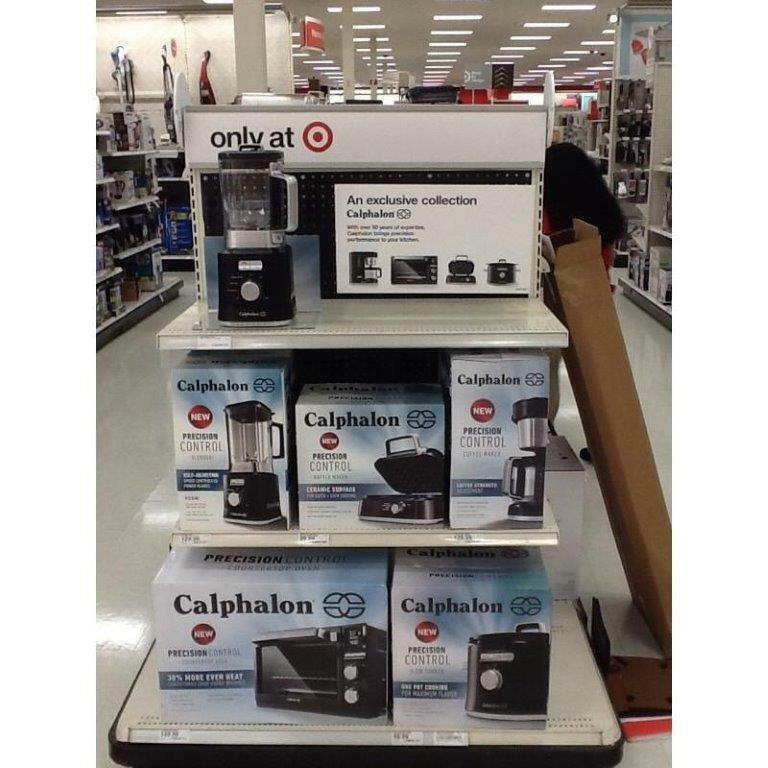 Be sure to pick up a Calphalon Precision Control™ Blender & check out the full Calphalon Appliances line, exclusive at Target. In a large pot, at medium heat, heat up 1 teaspoon olive oil, then add 1/2 cup diced onion, & 1 stick celery. Cook for 5 minutes then add the garlic & cook for 3 more minutes. Turn the heat up to high & then add 4 cups vegetable broth, 3 cans of beans, rosemary, 1/2 teaspoon salt, 1/4 teaspoon black pepper. Once the soup begins to boil turn the heat down to medium heat and cook for 20 minutes, stirring occasionally. While your soup is cooking set your oven to low broil. Toss the cubed bread in 1 tablespoon olive oil, 1 pinch salt, & 1 pinch black pepper. Low broil for 5 minutes, or until golden & crispy, then set to the side & let cool. For safety purposes, be sure to let steam out throughout the blending process. I put the lid on top, lift up the center insert slightly & let some steam out. Then I lightly place the center insert back on top & pulse blend, stopping to let the steam out every few seconds. The longer the soup simmers the thicker it gets, you may need to add more vegetable broth the longer it cooks. Just add a little at a time as needed. 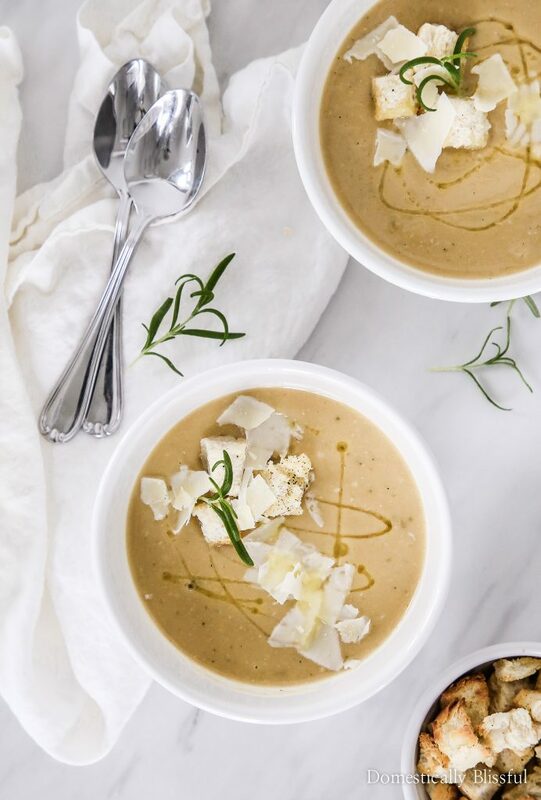 I hope you enjoy your Creamy White Bean Soup & your new Calphalon Precision Control™ Blender as much as we do! 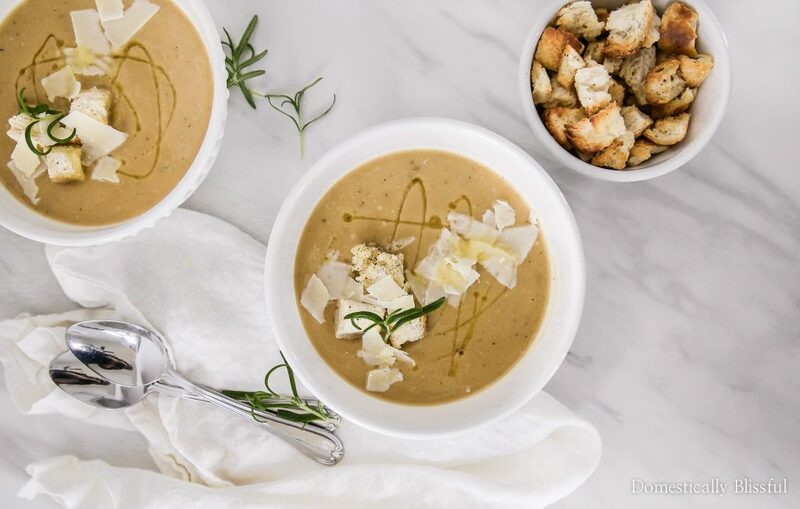 If you make this Creamy White Bean Soup this fall be sure to share a picture & tag @DomesticallyBlissful on Instagram so that we can all see your delicious hot soup! 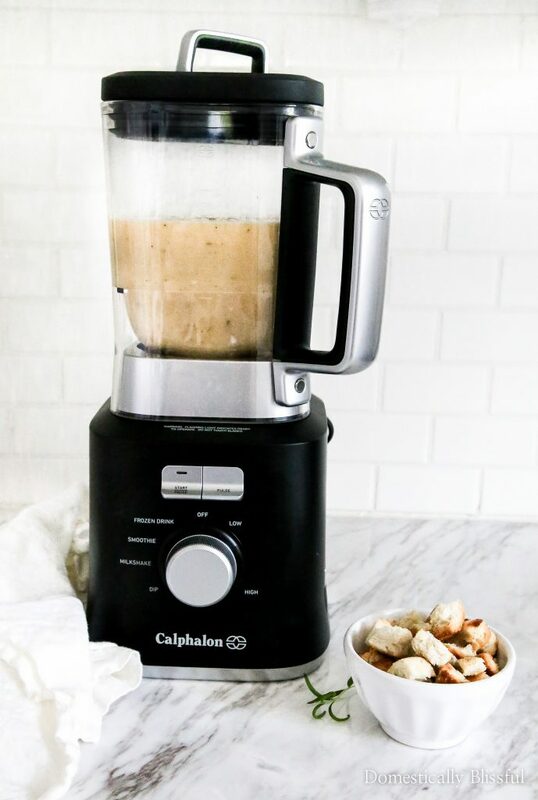 How do you plan to use your Calphalon Precision Control™ Blender this fall?